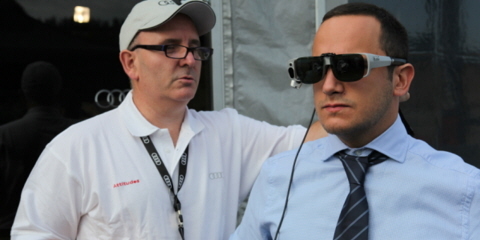 Audi's Attitudes, a corporate social responsibility program, wanted to learn more about the phenomenon of driving without awareness. Wearable eye trackers from Tobii Pro enabled their researchers to gain insight into driving behavior and occurrences that are often forgotten by drivers. The data revealed significant changes in gaze patterns during phases of subconscious driving and helped identify situations and external factors causing the issue. Driving without awareness (DWA) is the sense of operating a vehicle with little or no conscious attention to the surrounding traffic, also known as subconscious driving. At the time of this study, there was very little research on this topic. The past exploration focused on long highway journeys and used simulators that deviate from the actual driving experience with methods that involved asking drivers directly about their experiences. The objective of the study was to learn more about the prevalence of DWA, pinpoint characteristics of drivers who often drive in this manner, and identify situations that could promote its occurrence. The study also aimed to examine driver perceptions about the issue and analyze its effects on road safety. The study was carried out in two phases. In the first, a traditional phone survey was conducted with a representative sample of 2000 Spanish drivers to address a broad range of DWA aspects in order to quantify the phenomenon. 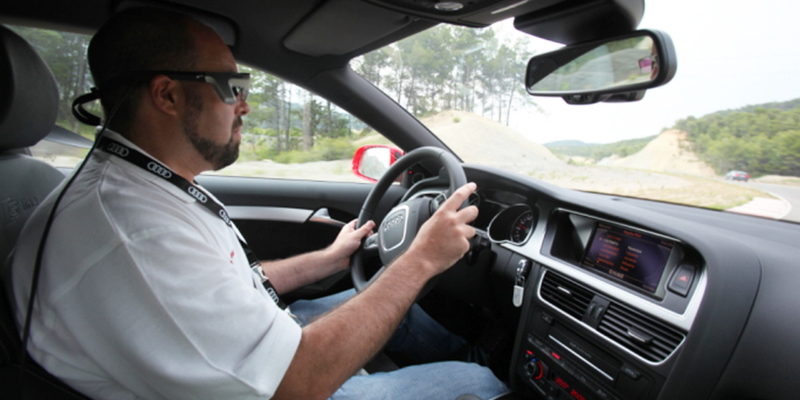 In the second phase, eye tracking observations were combined with in-depth interviews to test several defined hypotheses and examine subconscious driving episodes in greater detail. If the driver is concentrating on an idea or thought, subconscious driving is more likely to occur. Familiarization with the route facilitates paying less attention to stimuli that do not vary. The presence of a lot of stimuli reduces the likelihood of subconscious driving. It is more likely that the driver is inattentive to stimuli that are irrelevant to the act of driving than to those that are relevant. Thirteen experienced drivers, all workers in the same industrial area and between the ages of 25 and 60, were observed during two different tests, each with separate objectives. In the first test, participants drove on a race track circuit so researchers could test the hypotheses by using unique characteristics of each lap while comparing participants under similar traffic conditions. In the second test, drivers drove on an intercity road that most of them regularly used to travel back and forth to work. This test allowed researchers to analyze subconscious driving in the real-life setting in which it occurs and draw conclusions more generalizable to actual driving situations. During both tests, participants wore wearable eye trackers from Tobii Pro to record their eye movements, enabling researchers to determine which items in a participant's field of vision attracted their attention. After each trip, in-depth interviews were conducted with the drivers. The participants did not know or were not told the purpose of the study. They were asked what they remembered seeing along the road, what they thought they had done behind the wheel, and what they normally do while driving. By analyzing eye tracking data and mapping it against verbal feedback from the participants, researchers were able to gain insight into the DWA phenomenon. To test the hypotheses, they examined relevant gaze replays from all of the trips. Tobii Pro Studio was used to create visualizations such as heat maps and gaze plots to illustrate the drivers' looking patterns and what they had actually seen. The Attitudes study found that DWA is widespread as a result of experience and driving practice. Conversely, in the survey, only 25% answered that they had never experienced subconscious driving and 5% reported experiencing such situations on a regular basis. Furthermore, the study showed that motorists who experience DWA are typically seasoned drivers who use the car daily to get to work or school, usually traveling the same route. In addition, the research showed evidence of DWA among the drivers who said they drove subconsciously every day and among drivers who said they mostly were aware of everything as they drove. It is therefore reasonable to assume that not all drivers realize this issue is happening. Is driving without awareness safe driving? The study concludes that DWA reduces attention to the act of driving, but not necessarily to general security and road safety. Should something occur that is perceived as dangerous, subconscious driving disappears and most drivers can react appropriately. Researchers were unable to test effects on reaction time, but estimated that an increase would most likely be very small. Driving without awareness can be considered a moderate risk, but may have a potentiating effect on accidents when combined with other factors such as excessive speeds. In conscious driving, the driver's gaze remains fairly constant and identifies relevant stimuli without any substantial jumping from one point to another. 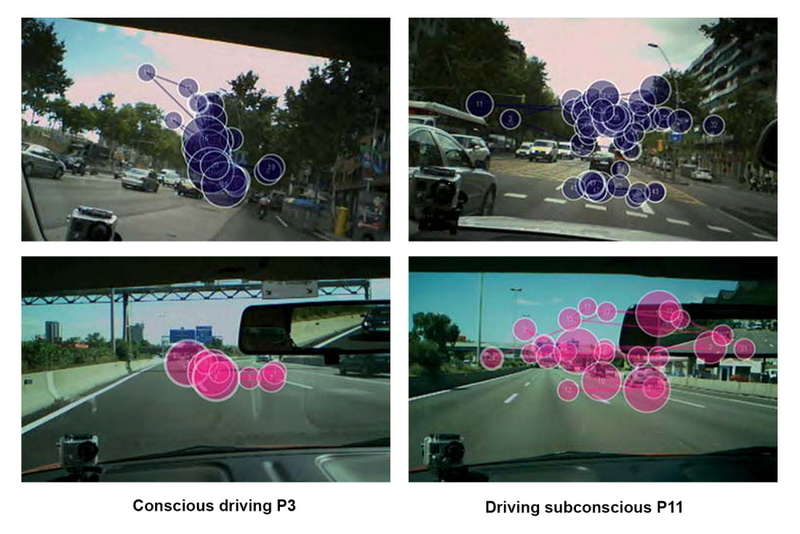 Eye tracking data revealed significant changes in gaze patterns during phases of subconscious driving. An increased number of fixations, an expansion of the viewing area, and more rapid eye movements were observed although the driver's gaze remained focused on a particular area of the road. When driving subconsciously, participants used what the researchers called 'active radar vision,' which covers a broad field while drivers remain alert to the possible occurrence of stimuli. 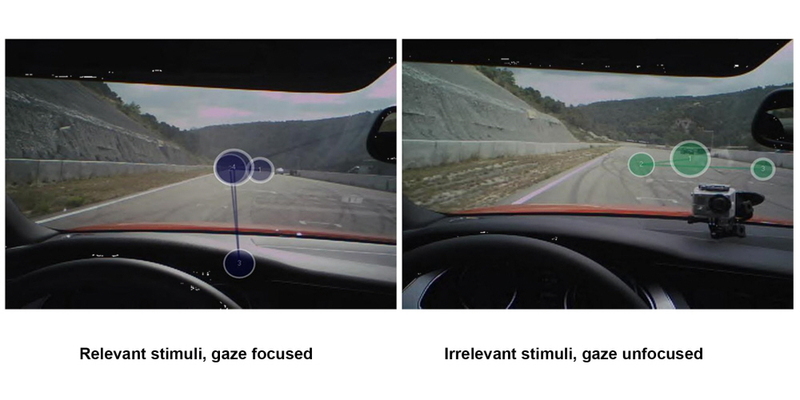 Eye tracking data also showed that attention to relevant orientation points declines when driving subconsciously, but drivers still look for potential risks. They look less at stimuli that do not vary, which are predictable and known. The drivers perform appropriate maneuvers but do not remember most of them when asked. Control actions, such as checking the speedometer when passing a new speed limit sign, decreased during DWA. The study indicated that DWA is more likely to occur when the driving is done in combination with other tasks. All participants who experienced phases of subconscious driving explained later that they had been thinking about other things not related to their driving, such as organizing their work day or decisions they needed to make. DWA is more likely to occur on familiar routes, where participants said they can drive in a more relaxed way and pay less attention to stimuli along the road. Eye tracking data shows that when traveling on familiar roads, most drivers always attend to stimuli that vary, while a significant number pay less attention to stimuli that are constants. Familiarization with the route caused a decrease in both the driver's viewing area and the number of fixations and eye movements. The gaze plot and heat map visualizations below show differences in gaze patterns during the first and last lap on the race track circuit when participants knew the layout better. Boring routes with less stimuli are another factor that can promote DWA. 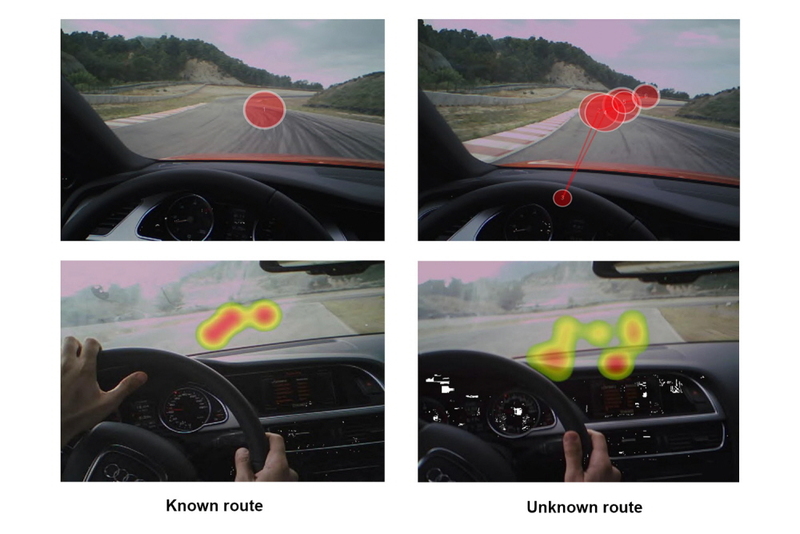 Eye tracking data shows a correlation between the moment when a driver fails to notice certain stimuli on the road and sections in which the number of stimuli is lower. Absence of stimuli does not necessarily mean DWA will occur, but when the route is unknown and has many stimuli, subconscious driving is less likely. Results indicate that, when driving subconsciously, drivers can see most of the relevant stimuli that appear in their path, even with a wider range of coverage, and that they are prepared to detect relevant stimuli. Eye tracking data verifies that they pay more attention to relevant stimuli (speed limit signs, traffic lights, etc.) than to irrelevant stimuli (ads and banners). Drivers do not always remember what they saw or what actions they took as a result. While many motorists do not see irrelevant stimuli, they often remembered by the drivers who have seen them. The fact that drivers do not remember everything that they saw or that occurred during the journey reflects the role of cognitive resources savings. Although they pay attention at the time, they do not allocate resources to store this information for later recall because it is not considered necessary. However, they may remember some stimuli that may be conspicuous but irrelevant or even outside traffic, or they recall maneuvers made by other drivers. This reinforces the idea that subconscious driving is restricted only to control repetitive actions known to the driver himself.